A new health facility that offers high-quality palliative and specialist care for the terminally ill will be built in Port Moresby through the Incentive Fund grants program. The Australian Government will provide K10 million towards the cost of constructing the facility, which is the first of its kind in the country and will be managed by Catholic Health Services. Catholic Health Services is one of four high performing Papua New Guinea organisations that were awarded funding during the recently held Incentive Fund Strategic Management Group meeting. The other three recipients of the Incentive Fund grants include; St Arnold Janssen Human Development Centre in Mingende, Simbu Province (K6.58 million), Hargy Oil Palm Limited in partnership with Painave Primary School in Pomio, East New Britain Province (K3.25 million) and the National Agricultural Research Institute in Lae, Morobe Province in partnership with Trukai Industries (K2.5 million). Australian High Commission Minister-Counsellor, Benedict David, said he was pleased with the quality of the applications for Incentive Fund grants received to date. 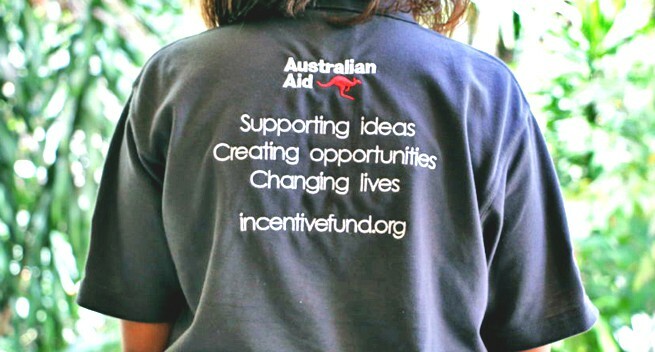 “The Incentive Fund is highly competitive, and we receive far more applications than we can fund.” “These four successful organisations will be implementing projects that will empower women, encourage economic development at the grassroots level and care for the vulnerable in the community. I look forward to seeing these projects come to fruition,” Mr David said. Part of the funding for the palliative care facility, will also go towards the expansion of a support and referral network within the public health system to further assist families care for their terminally ill relatives at home. “This is an exciting moment for Papua New Guinea as this facility represents a breakthrough in the way we can care for our loved ones most in need,” said Incentive Fund Board Chairperson, Valentine Kambori. “The success of this project will also set the example for palliative care and health support in other provinces around the country,” Mr Kambori said. Since 2000, Australia, working in partnership with Papua New Guinea, has been providing funding through the Incentive Fund. In its current phase, the program supports infrastructure activities, private sector engagement and the empowerment of women and girls. Eminent Papua New Guineans and representatives from the Australian and Papua New Guinea Governments who make up the Strategic Management Group, are expected to consider the next round of funding in December.